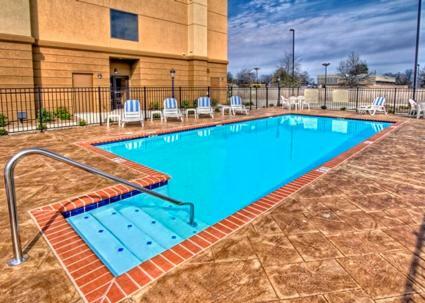 Complimentary breakfast, Wi-Fi and parking headline alongside a saltwater pool at the Hampton Inn Clarksdale MS. The three-story Hampton Inn includes 62 rooms with microwaves, mini-fridges, coffeemakers, 42-inch flat-panel HDTVs and free Wi-Fi. A complimentary breakfast buffet is served each morning. The hotel provides 'round-the-clock perks including a small market, coffee and tea in the lobby and a business center. Guests can also enjoy a workout in the fitness room and a swim in the seasonal outdoor saltwater pool. On-site parking is free. 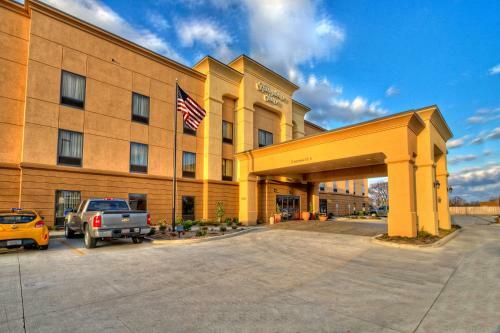 The Hampton Inn lies within a restaurant-friendly area, 83 miles south of downtown Memphis. The heart of Clarksdale is home to the Historic Blues District where guests find Blues Alley, the Delta Blues Museum and the Ground Zero Blues Club, all within a five-minute drive of the hotel. 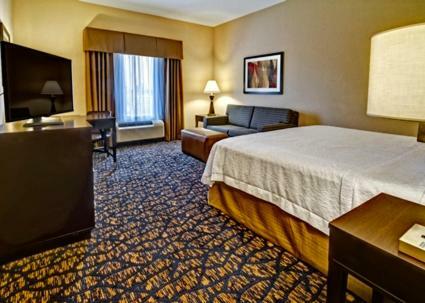 Guests can catch flights at Memphis International Airport, 78 miles northeast of the hotel. 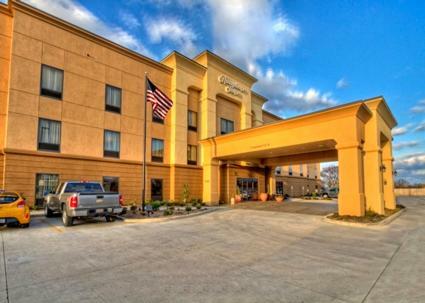 Hampton Inn Clarksdale is an ideal Clarksdale lodging choice for your trip to Mississippi. With numerous amenities for guests such as free full breakfast buffet, business center, you will wake up at Hampton Inn Clarksdale feeling excited every day for your time in Clarksdale. Don’t let this amazing reservation opportunity pass you by, book your stay at Hampton Inn Clarksdale today to make the most of your time in Clarksdale, Mississippi.